The good news is that I truly outdid myself this year. The bad news is that I had to take them down after only two days. 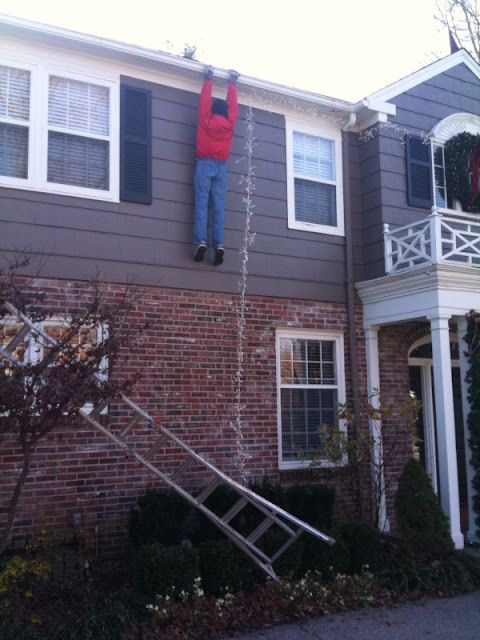 Second, a 55 year old lady grabbed the ladder and almost killed herself putting it against my house and didn't realize it was fake until she climbed to the top (she was not happy). She was one of many people who attempted to do that. My yard couldn't take it either. I have more than a few tire tracks where people literally drove up my yard.